Drug possession charges vary greatly in their levels of seriousness, from first-time marijuana possession to multiple offenses for possession or even importing a controlled dangerous substance (CDS). Felony or misdemeanor drug charges can be brought by the state or by the federal government. The penalties can include fines, probation, and even jail time. If you were arrested for drug possession, we can help today. If you are facing drug possession charges, now is the time to contact Anderson and McFadden LLC to help walk you through the legal system. We will ensure your rights are fully protected. 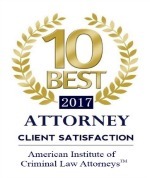 With our experience in drug-related crime, you can feel confident that you will receive our full attention with your case. We are Salisbury, MD drug possession attorneys, and we provide criminal defense and legal help to clients facing drug possession charges. Maryland’s drug crime penalties increase incrementally with the number of offenses. We are skilled at having charges reduced and dismissed. As of October 1, 2014, possession of small amount of marijuana is considered a civil offense and is punishable by a fine. It is still illegal to possess paraphernalia. If you are charged with possession of marijuana, you will probably get charged with possession of paraphernalia. Do not be fooled by rumors about possession of marijuana. It is NOT legal to smoke marijuana in Ocean City or Salisbury.